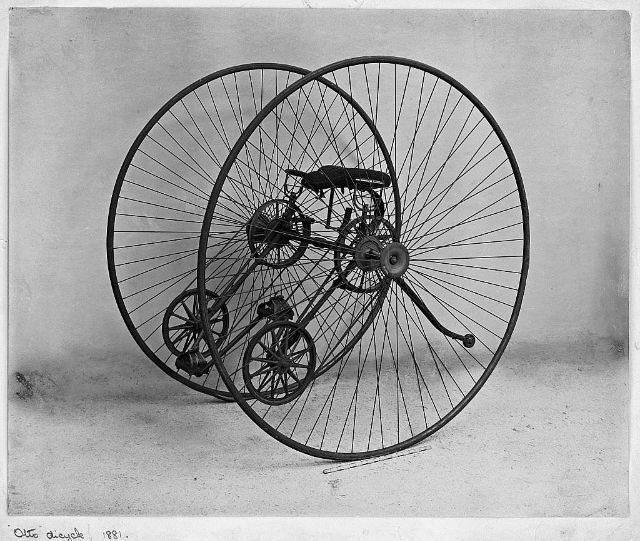 Otto Dicycle is a vehicle with two wheels parallel to each other unlike the usual bicycle which have a wheel followed by another. 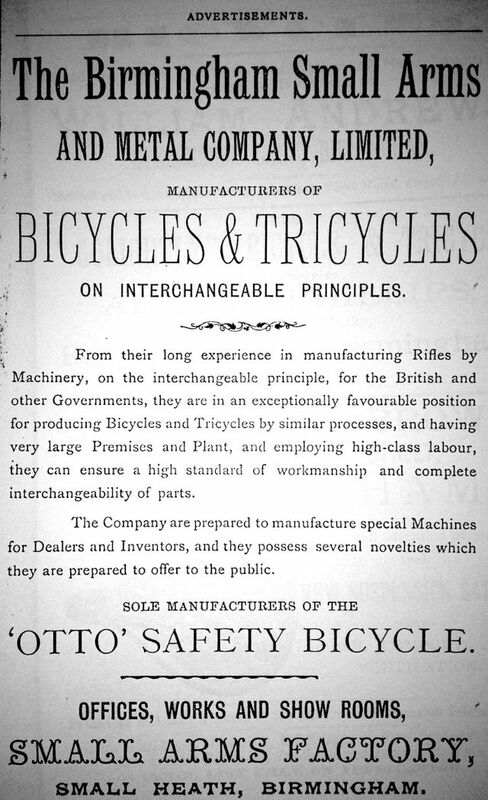 According to research by Andrew Pattle and Wayne Mann, in their excellent booklet “Mr Otto’s Bicycle”, Birmingham Small Arms Company (BSA) built 953 Ottos between 1880 and 1883. 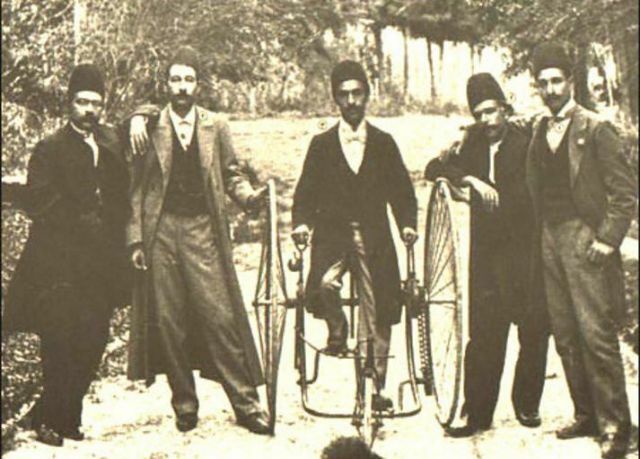 It was subsequently called a ‘Dicycle’ as it was not a tricycle but, despite only having two wheels, was not exactly a bicycle. 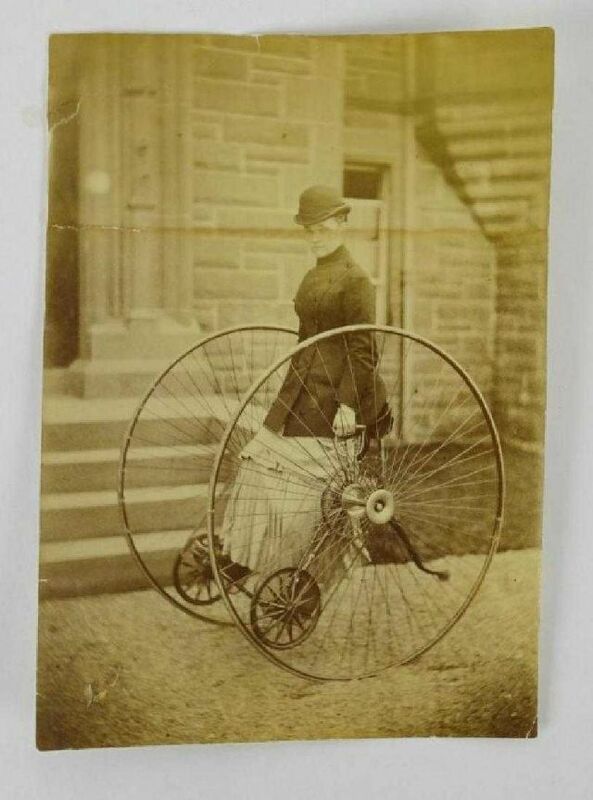 Edward Otto invented and patented the Dicycle as a safer alternative to the towering terrors of the ordinary bicycle (later known as the penny-farthing). His bike had two huge 56-in. (142-cm) wheels that were mounted side by side and connected by a sturdy axle. For balance, the rider used a slender trailing arm with a rubber roller on the end to stop himself (or, more unusually for the period, herself) from toppling over backward. 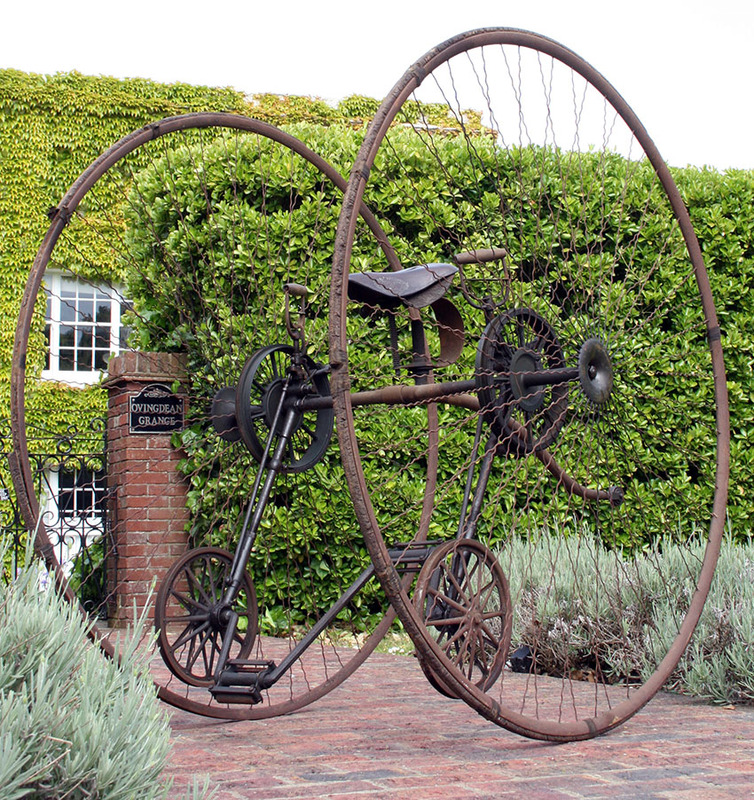 The rider sat between the wheels, above the axle, and pedaled using a treadle-style system fixed to the axle by long rods. The treadles turned pulleys at each end, which drove the road wheels via rubber belts. Within reach of the rider were two levers with which either of the pulleys could be disengaged. This basic form of steering was achieved by stopping the drive to one of the wheels while the other continued to turn. There was a simple hand brake lever for each hand too, each connected to a different wheel. 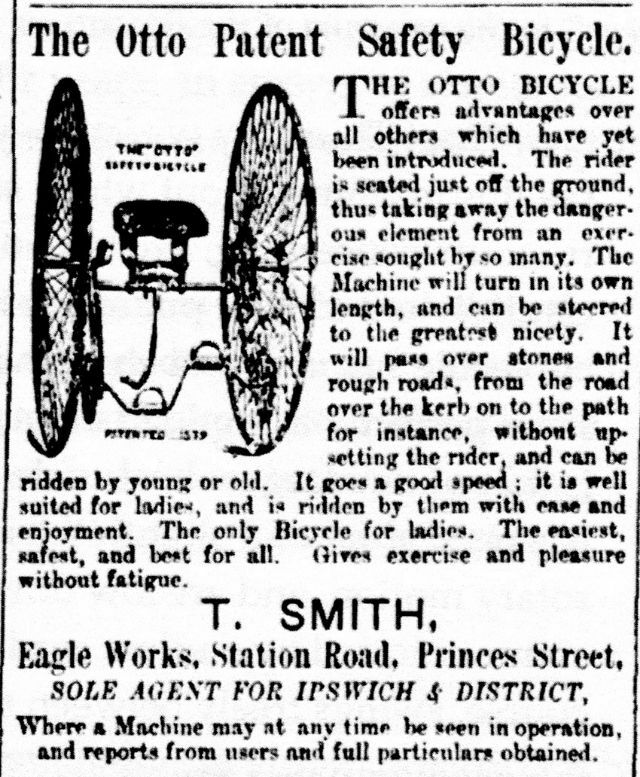 Edward Otto’s creation was indubitably safer than the ordinary bike—although that was by no means an extravagant claim. 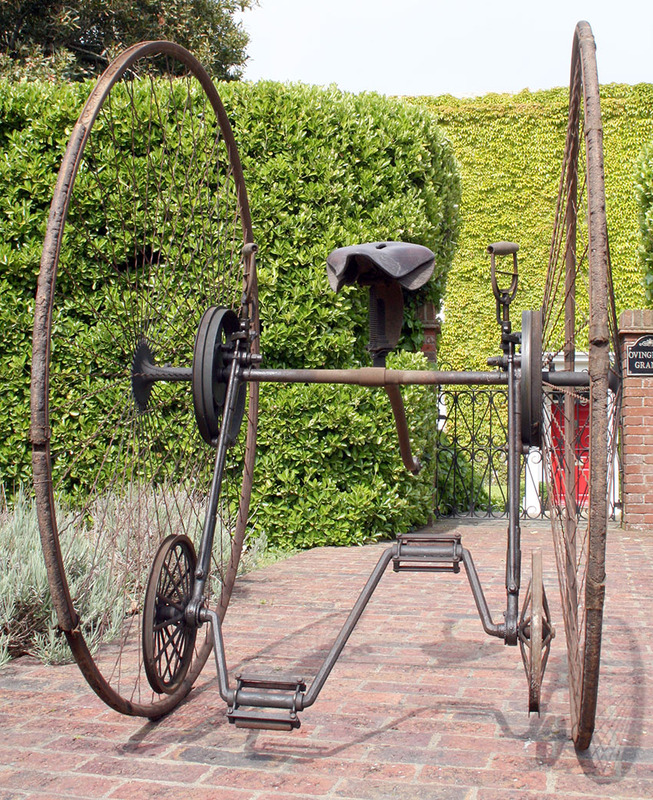 When the Birmingham Small Arms Company branched out from its main line in producing weaponry for the British army to build Dicycles commercially, they became the most popular bikes to date in history.